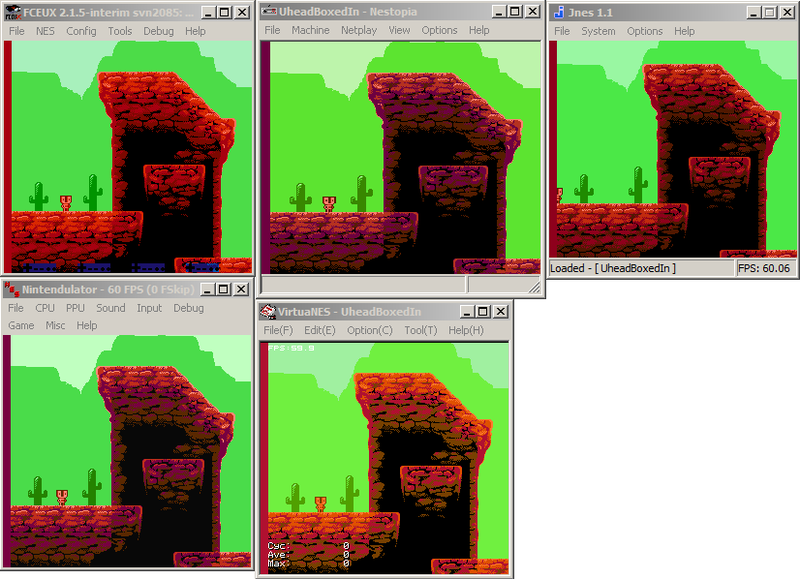 Eight separate palettes. 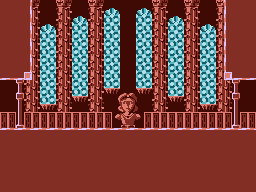 Four for sprites, four for the background. Four three color palettes for the background, + one color that can be used anywhere. 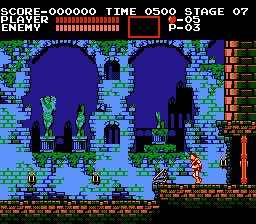 In Castlevania's case, one of the four background palettes is used for the HUD. 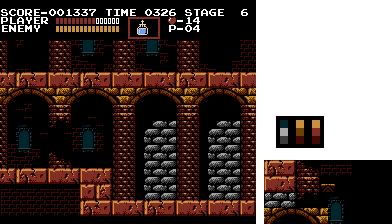 Four three colors palettes for sprites + transparency that can be used anywhere. Awesome. Thanks Kasumi for the clarification and quick response. Much appreciated. 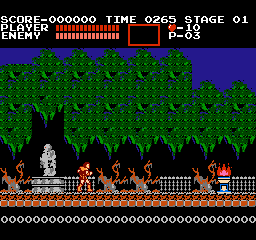 It enforces all of the NES's limitations with the added bonus of exporting data that can be used by an actual NES ROM. You may still want to start in Photoshop or your favorite editor - as the editing capabilities are limited - and then import them into NESST. Stellar! You got nicely creative with the room composition. Love the coffin in the center, the inclusion of the organ and angled windows, et cetera. Hello! Another new user here! Have been interested on joining Pixelation for a while and this challenge was exactly the motivation I was looking for, so I took the chance to take part on it. Here is my take on the castle's gardens at the start of the game. Took big liberties with it and reimagined a lot of stuff, having a more dark and realistic look in mind, but still keeping the picture recognizable. Hope my work is good enought, since everyone has done amazing stuff so far. Used a total of 125 tiles. 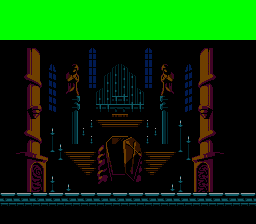 There probably are a few tiles that could be reused here and there to get more free space (specially since I totally forgot about the castle at the end of this screen), but I wanted to post this already or I will keep working on it forever. 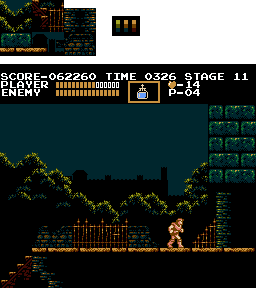 As an aditional challenge, I used only 3 palettes on the background itself, and saved the last one just for the UI. I went a little bit crazier with the sprites. 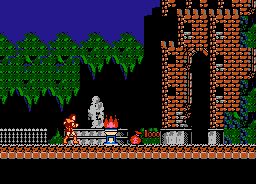 Changed everything in the way the torches work, the base is now made out of backgrounds tiles, and only the fire is made out of sprites. 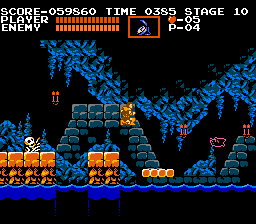 I use the same 6 sprite tiles the original torch used, but in a total different way to get a 4 frame animation cycle instead of 2, like the original one has. Didn't change Simon's sprite, but maybe, I'll get to work on him someday, since I had a lot of fun getting creative with this game I like so much. Absolutely beautiful, especialy the flame animation and the light on the statue. I also like how the scene gets progressively darker in the background, just like it should. I ended up with a noisy turd. 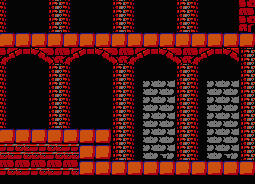 I wanted a different brick size for the background (smaller to suggest distance), but this added extra noise. Could probably throw in more blank/flat tiles. I didn't want to do leaf blobs for the plants, so I started dithering, thinking it might work on a TV. 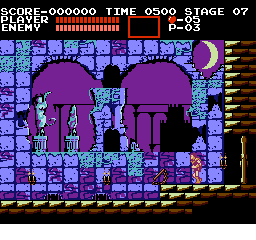 Tried to keep the tile count and 4*4 layouts somewhat low, but sort of creeped away doing a few decorative tiles. 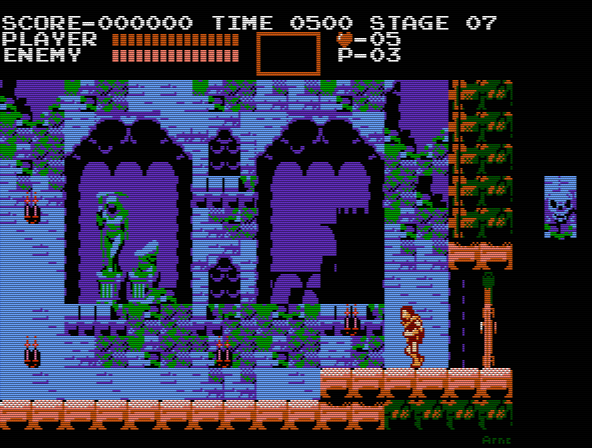 Tried to keep the original 3 palettes to the end, but had to lighten the sky to reduce noise and replace GUI palette red with brown as I used that for the lit ground tiles. *Edited in some more flats. Plant dither still a mess. I've been lurking in here for a while now and man are these impressive. Sorry to nitpick, but I just wanted to point out to Phoenix that the castle gate/entrance can be jumped past to reveal a hidden item. So you need to continue the floor past the entrance instead of stopping it at a bush wall. 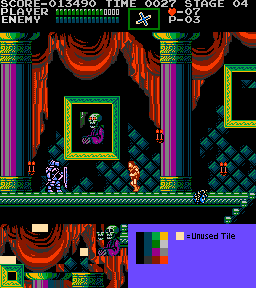 Gave a try at it, the lack of a saturated bright red in the NTSC palette makes it quite hard. Went a bit overboard with the tile count...can't draw stairs and props anymore. I had a go at the existing metasprites in the room too, trying to stick to their existing real estate in terms of 8x8 or 8x16 sprites. 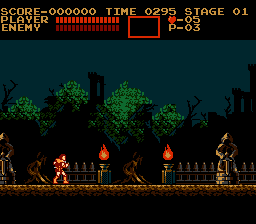 I wanted to keep the HUD palette the same as its iconic to me, but I also used the HUD palette on the fire in the top left, which I assume could be animated by switching out tiles? maybe not in the cv1 engine? Kasumi help me XD. in a perfect world it'd be whippable too, like a candle. 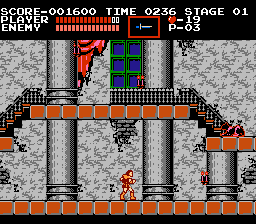 About Castlevania's Engine: I learned that Castlevania (at least appears to) hardcode which 8x8 tiles are collision enabled. (Most games tie it to larger structures.) So (quite laughably), what makes a lot of these not work is too many unique tiles that are meant to be collision enabled. I wouldn't consider adding that restriction to this challenge, since it's conceivably a thing they'd have changed if they had art like this. But it's the main thing that made hacking art in no fun. 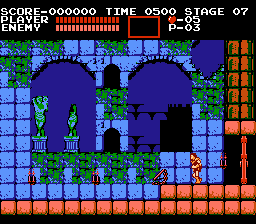 Probo: You've got 134 non unique tiles, and no palette errors. Getting under tile count would be pretty easy for you. You've got three unique floor brick structures. Could use just one. Oh that's interesting, so is that restrictive because it would have to hold a long list of collision objects in memory, memory that could otherwise be used for more important things? Or it'd slow performance because it has to check through the list every time it checks for collision or something? Thanks for checking the pic for me, I might edit it to bring it under later in the week. 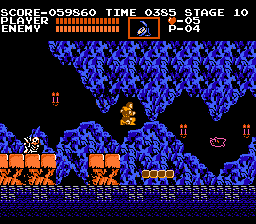 Collision detection on NES is the same as any other tile based collision. Choose a point on the screen, see if "what's there" is collision enabled. "What's there" being whatever structure contains if a thing is solid or not. 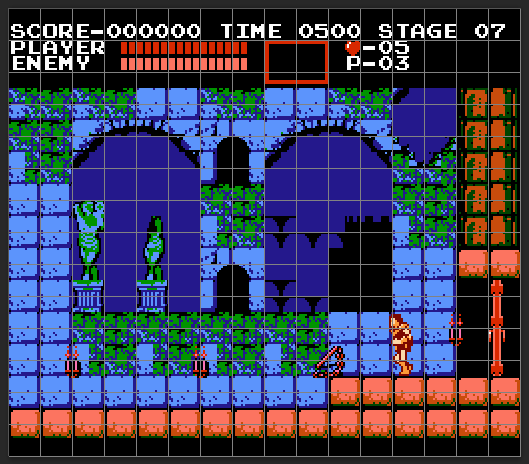 Castlevania's levels are built out of 32x32 (four by four 8x8 tiles) structures. They could have stored collision info with these structures. If having collision as fine as 8x8 was important to them, that means they "needed" a bit per tile (solid/nonsolid). Which is two extra bytes (16 bits at 8 bits per byte) per 32x32 structure. Or... one could use the tile's number to store that information for "free." If the first 128 of the 256 tiles in the set are collision enabled, and the last 128 are not I can use the highest bit of the tile number itself to check if something is solid or not. Obvious caveat that you can't have more than 128 of either solid or non solid things. To get around the caveat, you could store a byte with every set to define the numbered range of collision enabled tiles, which is not "free" but is more versatile, and also way better size wise than two bytes per 32x32 structure. 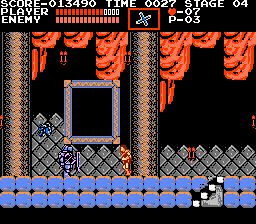 Castlevania certainly appears to (I'm not getting out the debugger) tie its collision to 8x8 tiles in some way, which depending on how they did it might have saved them a fair bit of ROM. Less to do with RAM or performance since they (probably) didn't save a lookup. But most games do store their collision information with some larger structure. For one thing, the same tile might need to be used in multiple contexts. (A solid color tile that is not solid/water in on structure, and solid/grass in another.) 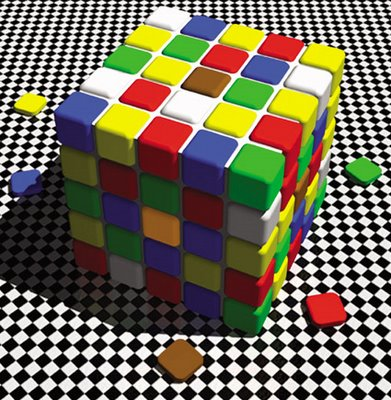 To do something like that, you'd need to have duplicate 8x8 tiles in your set. Generally you're storing more than solid/nonsolid, so even if you arrange tiles to save one way, it's tough/impossible to arrange them such that a range check will work for all the information about a tile. A lot of games store collision info with some 16x16 structure because NES palettes can't really be set per 8x8 (barring rare hardware). Since there already had to be definitions for palette at that size, why not put collision there too and be done? The graphics I was working with were Phoenix849 and Prism's. Though Phoenix849's may not appear in the gif. End note: Like I said, haven't got out the debugger to check the game. So if anyone wants to do that to tell me I'm wrong, or find out where/how it's storing collision info feel free. With that knowledge, hacking the game is... easier. I wish I had spent the time I spent hacking replicating the movement in my own personal engine. Because... getting the graphics in that was easier. 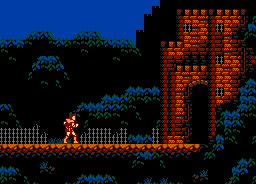 I need to make some more castle tiles for my game at some point, i got some ideas doing this! Great info there, Kasumi. 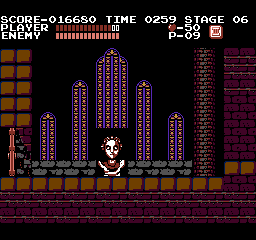 Since I discovered this thread I was wondering about the posibility of getting these mockups into the real game, and how difficult it would be. It would make a great long-term project for the forum if we managed to get a lot of people interested on it. 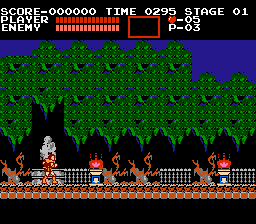 I love the idea of programming nes games but its way over my head! Totally agree with this. 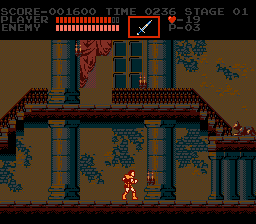 I also have an unfinished Castlevania engine that I started some years ago, after realizing how much time, work and how many headaches would take me to put all my ideas on an actual NES hack. I don't think I'm ready to contribute just yet, but man, I'm seriously impressed with this stuff. Hello, I was poking around on the internet and came across this thread. I just wanted to take a moment to express how pleased and even amazed I am to see a lot of these images. 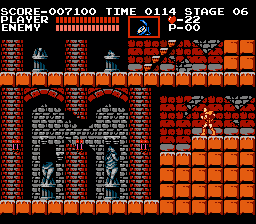 I am currently building a Castlevania-inspired game within the exact NES limitations, and if I had the money for it, I would be offering to hire a lot of you folks. This art is great! This gives me a lot of inspiration for some of the designs I'm making in my game. I love how rustic and rich the castle looks! 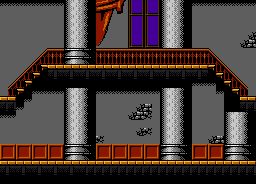 Although I do think it ought to have a few more tiles at the top so that it looks like it goes past the top of the screen. This is really great! 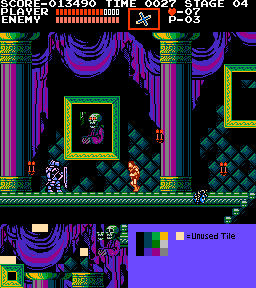 I love how dark it appears, but you still have given plenty of definition to the tiles the player can collide with. The hanging greenery adds a nice touch. I love how the second platform has a slightly different pattern than the first, giving that much more personality. 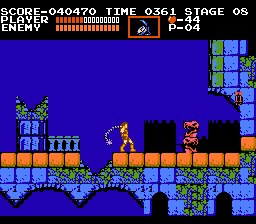 It overall looks a *little* more cartoony than the Castlevania series ought to, but the colors are fantastic! I love how that whole wall looks so grey but gets those blue highlights! This sepia look is visually stunning! The only real problem with it is, how do you follow that up? 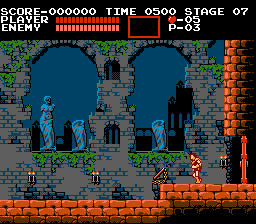 I just don't see how you could keep the rest of the game follow that theme without going overboard on the sepia tones, which would ultimately dry out and look bland. But as a stand-alone piece of art, it is simply incredible. This one honestly stunned me. That sunset just popped right out and looked amazing! And the colors for the rest of the scene contrast so well with it, too. The green block look a bit off, though. 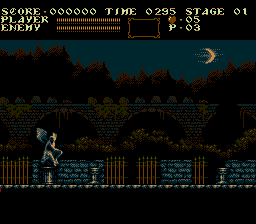 I think it is great how they are clearly different from the rest of the scene so that the player doesn't have to guess about what is ground and what is not, but you might consider experimenting with a different shade or two. Possibly a deeper green, possibly a less-yellow highlight. Also the bulbous shape doesn't really suit the setting, (It should be hewn stone, not natural rock,) and adding in a variant of the tile every few blocks would really sell it. But the whole rest of that scene is fantastic! I love everything about this one! 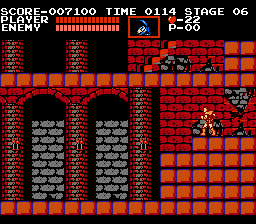 I love that grey part of the background, I love the look of the blocks, I love how some of the blocks have a colored top on them, I love the broken stones and the broken pillar, and I really love how those stairs stand out more than they did in the original! Great job, people! I'm impressed! Wow! We keep getting amazing art on this challenge! Marscaleb: I'm glad you liked my mockup, and you have a really good point on your review of it. The dark and sepia choice of colors can really get dull and boring after a while, and I didn't think about it too much when making this mockup, so I don't have a long term plan for the rest of the game. But right now I'm having some small ideas for little bits of color variation without breaking the previous tone too much. 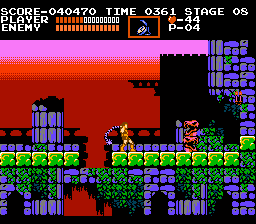 I think I could play a little with different light sources, providing different colored lights, or even some bright colored enemies. 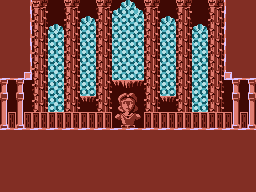 As soon as I get some free time I'll try making a mockup of another part of the game to see how those ideas could turn out. Hope to see something of your game soon! 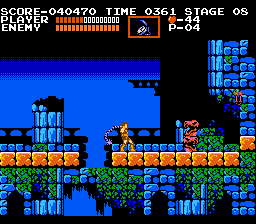 I love Castlevania, and I love games that follow older systems' limitations, so I'm already really interested in your project!